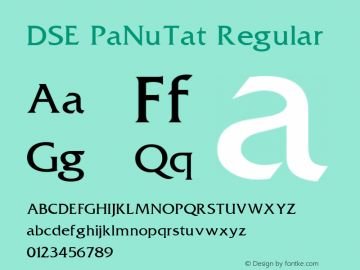 DSU_PaNuTat font family series mainly provide Regular and other font styles. DSN PaNuTat font family series mainly provide Regular and other font styles. DSE PaNuTat font family series mainly provide Regular and other font styles.